Businesses demand credit that will be used to reinvest in their business and for which they expect to earn a return. At the same time lenders supply credit to earn a return when these companies borrow. This process of extending credit has a multiplier effect on the money supply so this is why credit is a powerful driver of any economy. The aim of the study was to examine credit risk management practices of Asante Akyem Rural Bank. The data collection was gathered through questionnaires while the bank and the staff were selected purposively. Descriptive statistics and Kendall’s Coefficient of Concordance were used to analyze the data. The result indicates the availability of credit policy, financial analysis of the borrower and poor management skills of clients affected effective credit risk management. 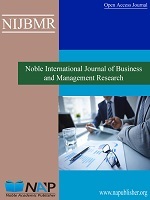 The paper suggests that the management of the bank must review their credit policies from time to time to reflect the changing business environment.